And get unlimited access to this gym and 1679 others. Situated in the heart of London's Covent Garden this massive, naturally-lit market hall is an ideal place to get fit. The large open space and friendly staff make visiting here a pleasure and it's a great place to unwind. Open from 6.45am each week day this is the ideal pre-work gym. Jubilee Hall is known for it's huge selection of free weights and excellent resistance machines. It also has a brand new Life Fitness TV-integrated cardio range. Enjoy a cross-country bike ride, listen or watch your iPod movies and music, or just watch your own personal TV channel. Also available is a great range of classes in everything from boxing and spinning, to flamenco dancing and pilates. When you've finished your workout why not relax in the sauna or enjoy a refreshing drink in the on site cafe? Access is easy, this site is just a few minutes walk from Covent Garden station (Piccadilly Line) and 10 minutes from London Waterloo (National Rail, Bakerloo, Jubilee, Northern and Waterloo & City Lines). There are also a huge selection of bus routes close by and a London Cycle Hire docking station is just around the corner. Fantastic gym with wide range of equipments. Might get a little crowded on weekday evenings. 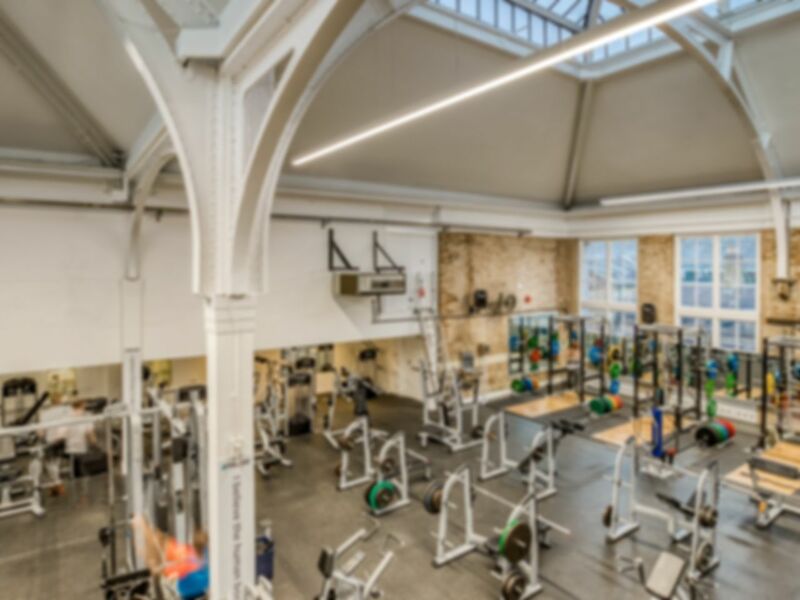 One of the better gyms within central london due to its size and range of equipment. Has a huge range of dumbbells and multiple squat racks. If you are serious gym goer and focus mainly on weightlifting and bodybuilding you wont have any complaints with this gym. Great gym and good value for money. Amazing gym in Covent Garden. It's huge with a great range of equipment. Dumbbells come in 2.5kg increments and this is one of the few places with 60kg dumbbells. Weights are old (just metal with no rubber in some instances) but are functionally adequate. I've liked my experience with this gym so far. There are loads of aerobic machines available that are really nice quality. I like to do my own timed circuit trainings, and it's been difficult to find an open space since the 1 big room with equipment has frequent classes. Nice atmosphere, good staff, and nice facilities.